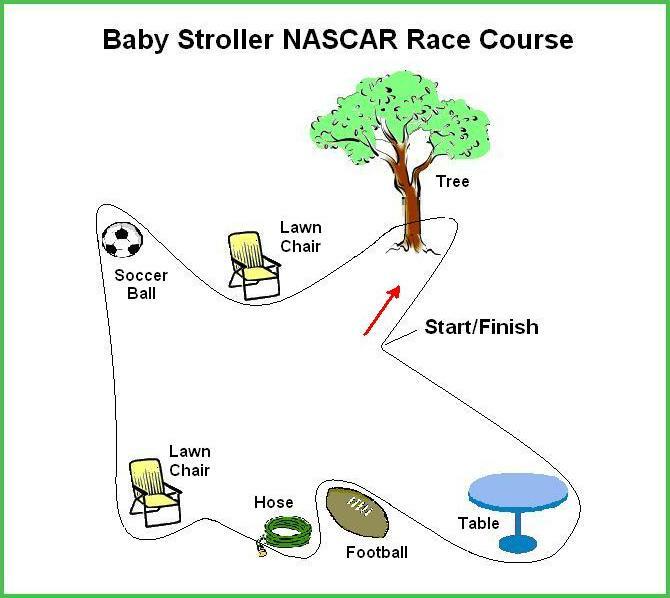 This is an example of a race course that you could set up for your Baby Shower NASCAR Race! You can have the course be big or small, out side or in (although it might be difficult to have it indoors). Just save it to your computer by right-clicking the mouse and selecting the "save picture as". Save it to your desktop or in any other folder you would like. Then set your printer to the desired paper size and print it out in color or black and white. Have fun!